Coppell High School senior forward Sam Marshall pushes past a Skyline player during Friday night’s game in the CHS arena. With the score ending at 64-45, the Skyline Raiders went home with a victory over Coppell. Photo by Hannah Tucker. 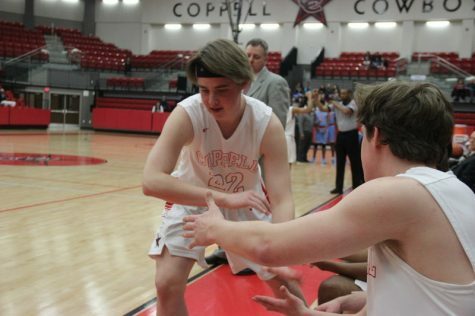 Coppell High School senior forward Jackson Solari runs past his teammates to highfive them on Friday night in the CHS arena. The Coppell Cowboys fell to the Skyline Raiders, with a final score of 64-45. Photo by Hannah Tucker. Coppell High School senior forward Jackson Solari shoots for a basket during Friday night’s game in the CHS arena. Making the basket, the point raised the score to Coppell 4-6. Photo by Hannah Tucker. Coppell High School senior guard Christian Plummer looks for a pass over Skyline senior shooting guard Sammy Brooks’ head during Friday night’s game in the CHS arena. 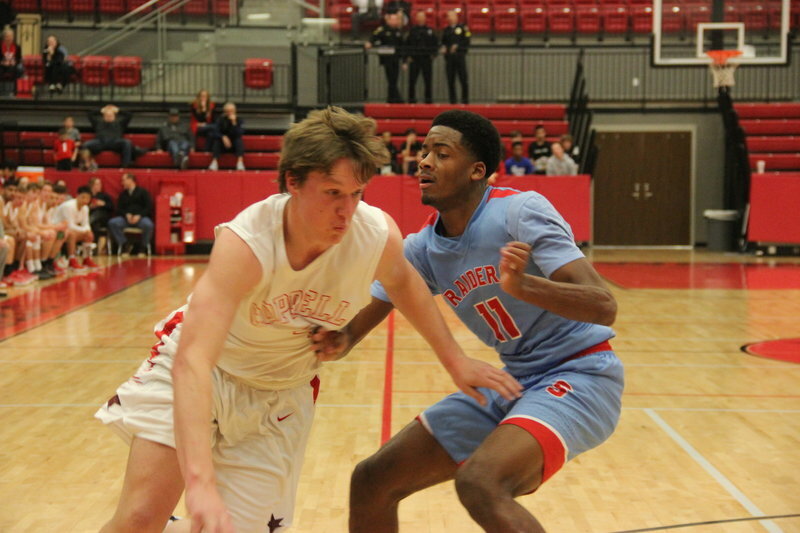 The Coppell Cowboys fell to the Skyline Raiders on Friday night, with a final score of 64-45. Photo by Hannah Tucker. 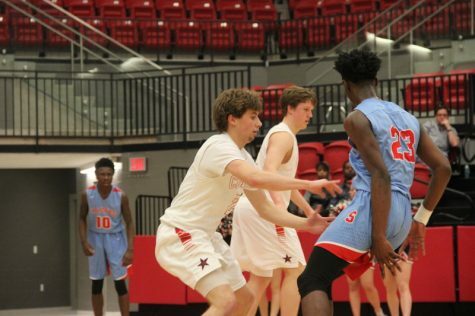 Coppell High School senior shooting guard Caden Horak reaches to get the ball from Skyline senior Marcus Garrett during Friday night’s game in the CHS arena. 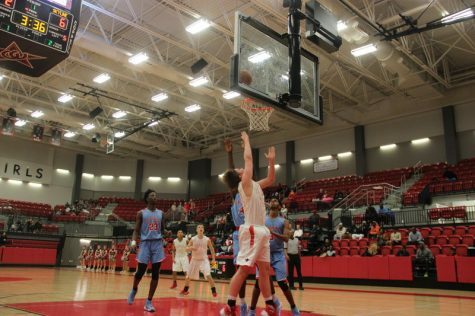 The Skyline Raiders defeated the Coppell Cowboys with a final score of 64-45. Photo by Hannah Tucker. Coppell High School senior guard Christian Plummer tries to block a Skyline player’s pass during Friday night’s game in the CHS arena. 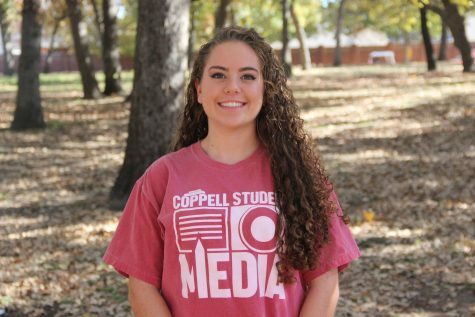 With the score ending at 64-45, the Skyline Raiders went home with a victory over Coppell. Photo by Hannah Tucker. Coppell High School senior shooting guard Keegan Reese dribbles down the court on Friday night’s game against Skyline. 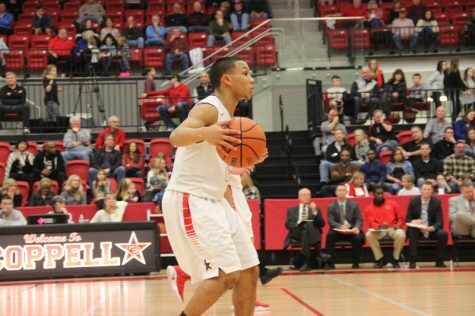 The Coppell Cowboys fell to the Skyline Raiders on Friday night, with a final score of 64-45 in the CHS arena. Photo by Hannah Tucker. 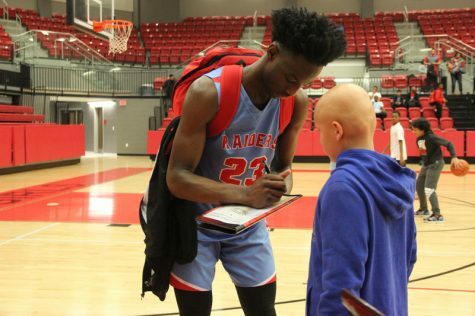 Skyline senior Marcus Garrett signs autographs for a Coppell middle schooler in the CHS arena after Friday night’s game. 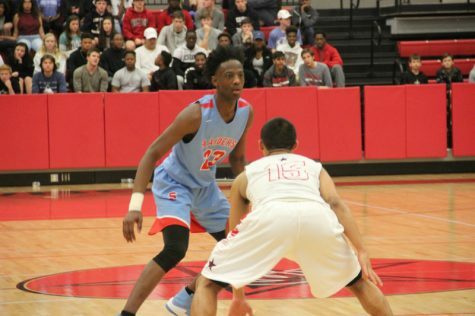 The Skyline Raiders went home with a 64-45 win over the Coppell Cowboys. Photo by Hannah Tucker. 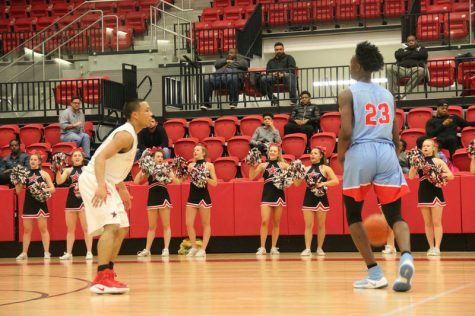 Coppell High School sophomore guard Tariq Aman tries to get past Skyline senior Raider guard Marcus Garrett Friday night in the CHS Arena at the Boys Varsity game. The Raiders went home with a 64-45 victory against the Cowboys. Photo by Hannah Tucker. 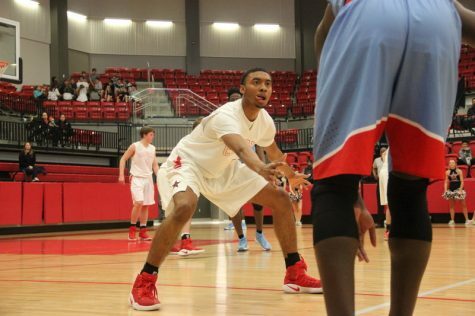 Coppell High School sophomore guard Tariq Aman guards Skyline senior Raider Marcus Garrett at the Boys Varsity game Friday night in the CHS Arena. 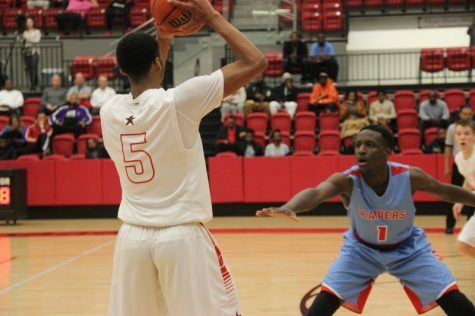 The Raiders went home with a 64-45 victory against the Coppell Cowboys. Photo by Hannah Tucker.